Liberally paraphrased and translated from Legal Daily: http://www.legaldaily.com.cn/index_article/content/2014-05/14/content_5519349.htm?node=6148 ; Mistakes in Charts are our fault, not theirs. 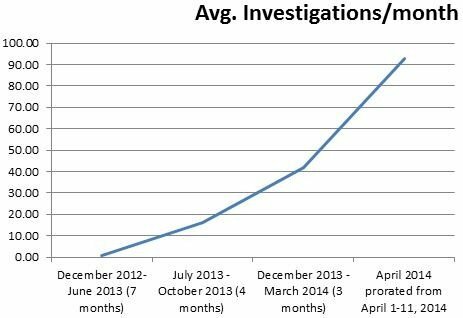 In a previous post, ChinaLawTranslate provided data from a break down of disciplinary commission investigations relating to corruption investigations. Such investigations are internal to the Party and not part of the formal criminal justice system. This post looks at data made available today regarding actual criminal investigations by the people’s procuratorates. In the first three months of this year, procuratorates across China filed 8,222 cases of corruption or accepting bribes, involving 10,480 people, for investigation. In China, procuratorates, which have the prosecution authority for all crimes, are also the principle investigators of corruption crimes. 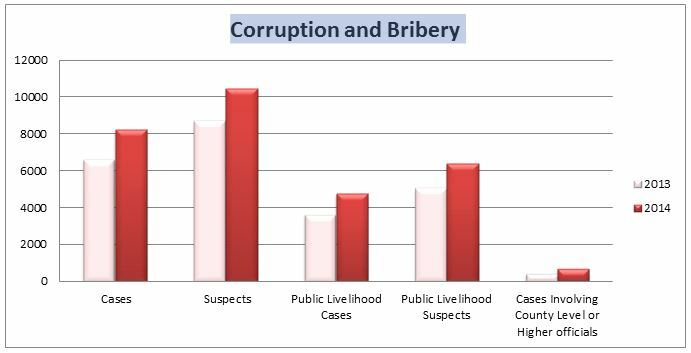 Of the cases filed, 82.2% involved bribery in amounts of more than 50,000 rmb (~$8,000) or missapropriating of 100,00 or more rmb (~$16,000). This included 661 official at the county level or above, of which 57 were departmental level officials. The head of the Supreme People’s Procuratorate’s (SPP’s) anti-corruption division said that new anti-corruption efforts are behind the rise in cases and persons being investigated, which represent 24% and 19.8% rises from the previous year. For officials at the county level or above, the increase is more pronounced, up 46.9% since last year. At a press conference today, the SPP announced that between January and March, 4760 corruption cases, involving 6402 people, were filed for investigation in areas affecting public welfare such as social security, medicine and sanitation, education and research, poverty and disaster relief, and environmental protection. This is 30.2% more cases in these areas than last year at this time, and 25.5% more suspects. 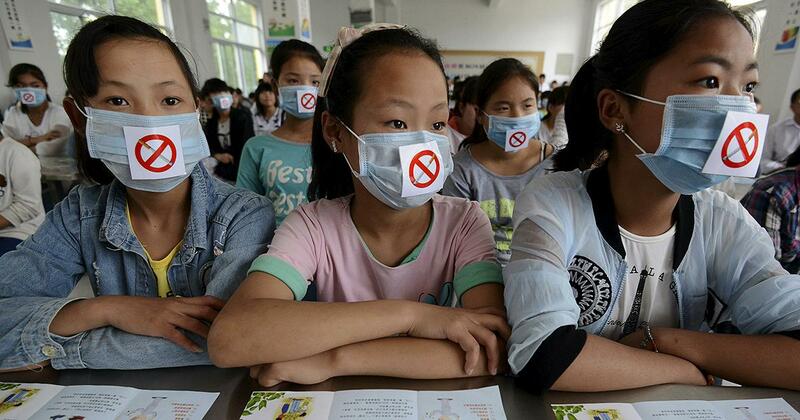 These cases involved over 650 million RMB (~$104 million). With the increase in case loads, the SPP said that the quality of case management showed corresponding improvement: Of cases filed, investigation was already concluded in 4903 (up 166.4%) and 3094 individuals were indicted (up 7.4%). Courts issued guilty verdicts against 4,094 defendants (including some cases begun in the previous year), an increase of 19.6 from the preceding year. Seventeen officials at the departmental level or above were involved in investigations for abuse of power and rights infringement, 750% more than in previous years. In total 2245 cases of such crimes were investigated, involving 3073 persons. 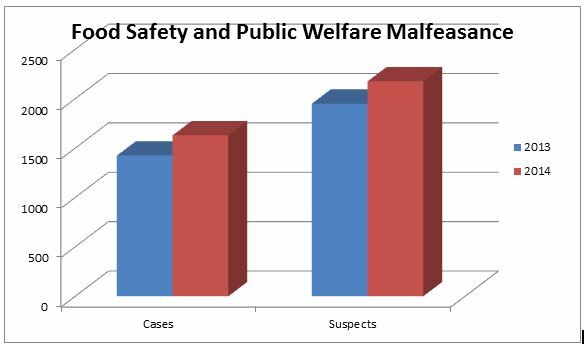 Over half of these were especially serious cases, which accounted for 1270 of the cases, and 137 of the suspects were county level officials or above (4,5%). Adopting a zero tolerance police to neglect and abuse of public office that endanger the public safety, such as food safety, production safety, real estate and ecological protections, resulted in an increase in investigations. In the first three months of this year, the nation’s procuratorates filed 1,630 such cases for investigation, involving 2,177 individuals, an increase in case numbers of 14.4% and in suspects of 11.6%. 55.6 million rmb (~$8.9 million) was recovered through these cases. The estimated value for a full translation of this post is $170.88 USD at the below-market rate of $.06 per character, with 2,198 characters.